In my late teens, I was a huge fan of "Choose Your Own Adventure" books. I especially liked the ones that came out for identifiable franchises like "Indiana Jones" because I knew the motivations of the characters and I had already seen Indiana Jones play out scenarios where he won – based on the films. But just in case, I always kept my finger on the page where I had to make my choice in case my decision was a poor one – and pretend it never happened. As a pre-New Year's gift to its subscribers, Netflix used a fake reveal and later a trailer to let the cat out of the bag that "Black Mirror's Bandersnatch" was going to be the first ever choose your own adventure film by using an open source technology called Twine. "Bandersnatch" delivered, allowing the viewer if using the appropriate device (devices were identified by having a red banner with a star on it to let you know that it will allow for you to make decisions). If you didn't have the appropriate device, it would allow only the teaser to play. "Bandersnatch" began like any other streaming film. Then five to seven minutes into the film it offered choices underneath the frame with a 10-second time limit to decide as the actors kept playing out the scene. For example, after deciding which cereal the lead, Stefan Butler, would eat and the cassette he would listen to while riding the bus to the interview for the video game company (I chose Thompson Twins), Stefan is given the opportunity to work for the company he is interviewing for. Even the video game creator rock star, Colin Ritman, is in the room when he is offered the opportunity. Stefan acts out anticipation and excitement about the role as you are giving a 10-second count to make a decision to accept or decline. The answer is easy, duh. Stefan is in awe of the company and working alongside his idol! But when you choose accept, the next scene transitions to months in the future, the game is finished but reviewed poorly. Finally, ending your choice. So is it truly your own adventure? Wasn't a lot of the premises like the one above false 'smoking guns' to get you to choose paths that led to dead ends? Without context, how can you make choices for a character if you don't understand his or her motivations? Isn't the purpose of a film and a television show to get you to forget about choices? Detach yourself from reality? And are we forgetting the "chill" part of Netflix because they are so engrossed in choosing paths for fake characters? They forget about the fun in interacting physically with one another. With interactive films, Netflix doesn't care about the chill. Nor does it care about the story, really. The only motivations they are interested in are yours as a viewer. 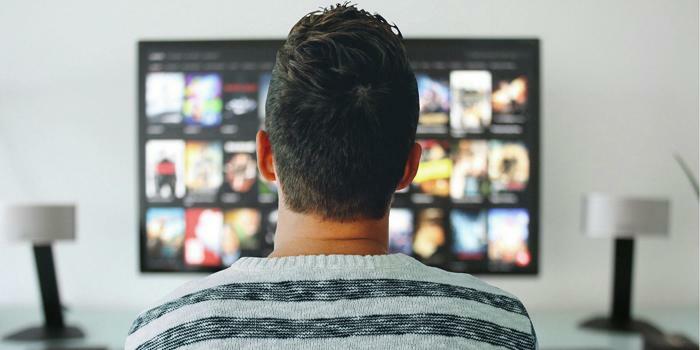 Netflix is using the choices you make as a data science experiment to gather all the mundane choices to fuel future content, commercial, and technology partnerships. So will interactive films soon become the norm? Too late, it already has. Executive producers and filmmakers will gain more funding than virtual reality filmmaking in the upcoming months. But not for good reasons. Interactive films allow corporate executives to go head to head with creatives about ideas and both win. A creative (writer/director or both) can disagree with corporate about a film direction, script plot point or how it should end – but give money to produce all. The advertisers and technology partners paying for the data. One day we might talk about a past where storytelling was about generating viewpoint and empathy from a perspective you might not normally agree with. For example, in the future, Hamlet as an interactive statement, "To be or not to be" creates a whole new story line. Most films of the past created a cultural collective. If everyone watches a film, but everyone has different experiences there is no affinity built when you share the experiences, attitudes, and feelings about the outcomes. The only true community for interactive films are for those that find themselves on Reddit to flowchart the choices. This January and February as the Golden Globes and the Oscars go on, think of a future where merely 45% of all films start moving towards interactive – how will they be judged? Purely on the acting? Premise? Or will writers have to create multiple award-winning endings and allow for films to win multiple categories – for Drama and Comedy? Note that no "Choose Your Own Adventure" book has ever won the Pulitzer Prize. So let's keep our finger right here, turn the page, and watch it play out. If interactive films become the new creative abyss, no problem. We can just go back to where we were, make another decision, and pretend it never happened.